It is absolutely boiling here in Prague, I don’t think it has been this hot ever before. So I am just lying on the sofa trying not to move too much. And I am eating gazpacho. 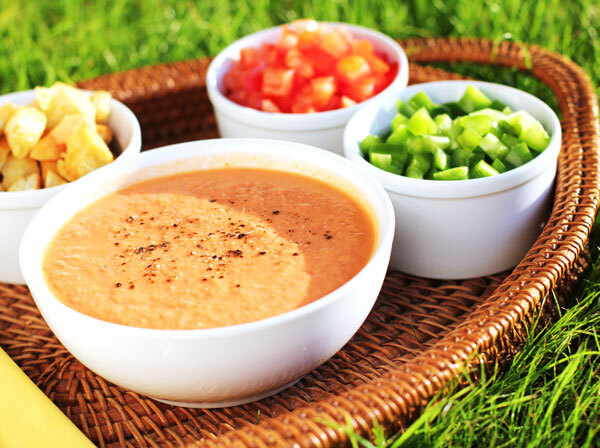 This cold refreshing gazpacho is exactly right for these moments. This recipe is perfect, it doesn’t take very long and no heat is required. And it is CHILLED, what’s not to love, right?